Do you like french fries? How many times a week or month do you eat french fries? Fries are often a snack choice when watching or relaxing. Even those of you who choose practicality prefer ordering fried potatoes at fast food restaurants rather than cooking them yourself. In fact, if you eat french fries too often, the threat of cholesterol is ready to approach your heart. Don't want this to happen? Don't worry, there are ways to cook healthy fries recipes in this article. What is the danger if you eat too much french fries? Fries or better known as french fries have a savory and crunchy taste. These fries are usually served while still hot to make it more delicious. Many fried potatoes are served by fast food restaurants as a complementary menu, with additional salt, cheese or sauce. However, consuming fries excessively can trigger various health problems. A large portion of french fries in fast food restaurants has 370 to 730 calories. From this caloric value, it is usually stored around between 11-37 grams of fat, with 4.5-8 grams of saturated fat. This portion of french fries also has 500 milligrams of sodium. Eating fried potatoes flavored with salt too often will make your stomach feel bloated. This is due to the high salt content in your favorite fries. French fries fried in vegetable oil mixed with hydrogen or hydrogenated oil will produce trans fat content. This type of oil is used by many restaurants for the purpose of fried products that will last longer. However, trans fat is very dangerous for the body. The consumption of fat can increase levels of bad cholesterol, namely low-density lipoprotein (LDL) and reduce good cholesterol levels, namely high-density lipoprotein (HDL). This can increase the risk of heart disease. In addition, fried potatoes are also high in chemical compounds acrylamide which is associated with an increased risk of cancer. Wash the potatoes without peeling the skin. Potato skin contains lots of fiber and nutrients. Boil the potatoes you have washed until half did. approximately 15 minutes. Cut 4 half-baked potatoes, each in two or according to your taste. Brush the potatoes you cut with olive oil or you can replace them with vegetable broth if you don't want to use oil. If you want to avoid salt. You can replace it with garlic. How to peel 2 garlic cloves. Wash clean and then puree. if it's smooth, apply it to the potatoes you've cut. Bake in the oven until cooked brown. You can bake it at 200 degrees Celsius for 12 minutes. Your healthy fried potato recipe is ready to be served. After reading the explanation above, maybe you will immediately feel scared. Don't worry, you can still eat this snack in a healthy way. How? Change your fried potato recipe into a healthy fried potato recipe. Try to cook it yourself instead of ordering from a fast food restaurant. 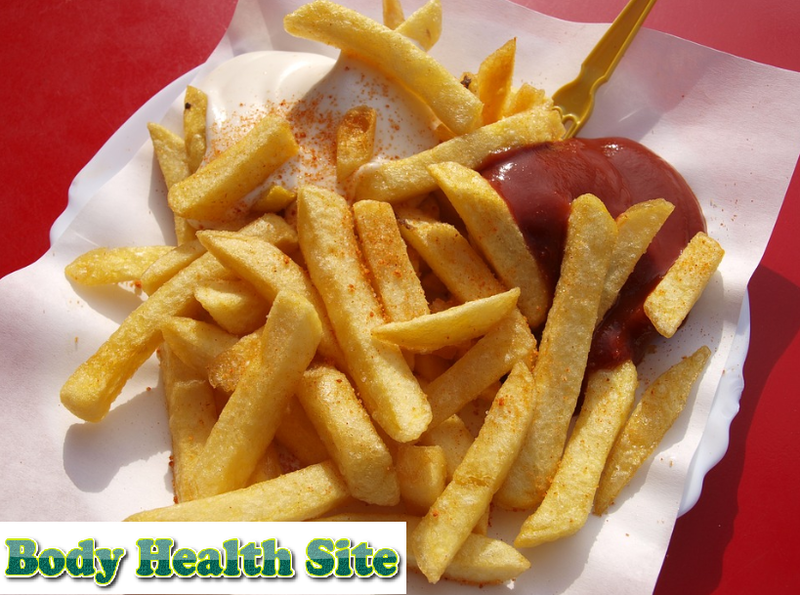 The recipe for healthy fries greatly influences the nutritional value and taste of your fries. Roasting potatoes will provide more benefits because it can reduce calories and fat. If you cook fries all this time using oil that contains lots of fat and calories. You can replace it with olive oil which is good for heart health. Use two tablespoons of olive oil on potatoes before baking. If you want to reduce more calories, you must try baking potatoes without using oil at all. You can replace olive oil by applying broth from vegetables or whipped egg whites. Then, bake potatoes for a few minutes until they appear browned. If you make baked potatoes at home. You can replace salt with a variety of spices to enrich flavors such as garlic, paprika, cumin, and others. These spices can replace salt and reduce the risk of suffering from bloating after consuming fried potatoes. Change the way you cook french fries if you don't want to be faced with the risks posed. There are many ways to enjoy potatoes without frying which is no less delicious. Adjust to your health conditions and tastes. 0 Response to "Healthy Low Cholesterol French Potato Recipe"